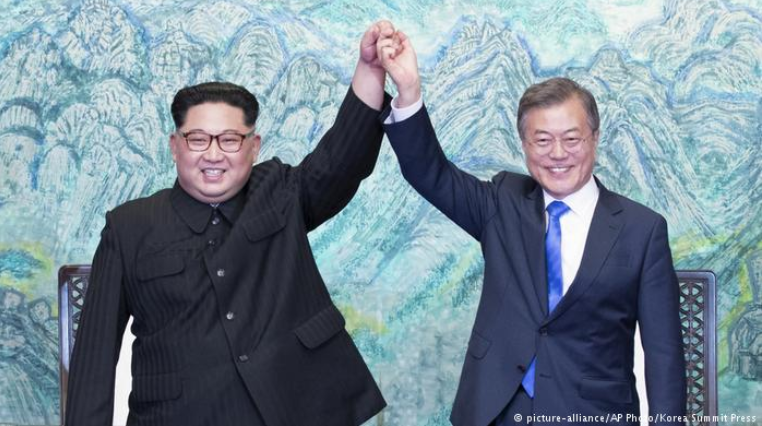 At the non-announced two-hour talks on May 26, the leaders of North and South Koreas Kim Jong-Un and Moon Jae-In agreed to conduct regular meetings to revive the dialogue and share opinions. Next meeting will take place on June 1, as Deutsche Welle reports referring to North Korean mass media. It is noted that Kim Jong-Un thanked his South Korean colleague for the assistance in the preparations to the summit, which will take place in Singapore in June 12. Kim Jong-Un claimed a “settled intention” to participate in this “historic” talks. In his turn, Moon Jae-In called Pyongyang and Washington for eliminating “misunderstandings by a direct communication”. He insists on a more intensive preparation to the summit in Singapore so that as a result, the “history of wars and confrontations” ends. According to the South Korean leader, Kim Jong-Un is ready to a “full denuclearization”, yet he is afraid this could threaten his existing regime. Earlier the leaders of two Koreas had a historic meeting in Panmunjom, South Korea. After the talks, the leaders of the states announced the signing of a treaty of peace at the end of 2018, which will end the war between the states which officially lasts since 1953. The leaders of the states have signed the Panmunjom Declaration for peace, prosperity and unity in the Korean Peninsula. Later, the Democratic People's Republic of Korea canceled the new meeting with South Korea authorities. The reason he did so was the fact that North Korea was displeased with military training conducted by the U.S. and South Korea. Later, Kim Jong-Un assembled the party’s military commission or the first time in two years. In his turn, Donald Trump, the U.S. President, stated that he decided to cancel the meeting with Kim Jong-Un, which was to be held in Singapore on June 12. According to the official position of the White House, this decision was made as the North Korea authorities conducted aggressive political rhetoric. Yet, later, it was reported that the U.S. and North Korea leaders will probably negotiate.